After nearly continuous rainy days since the start of February, we finally have some sunshine this second week of March and the garden is showing signs of life. 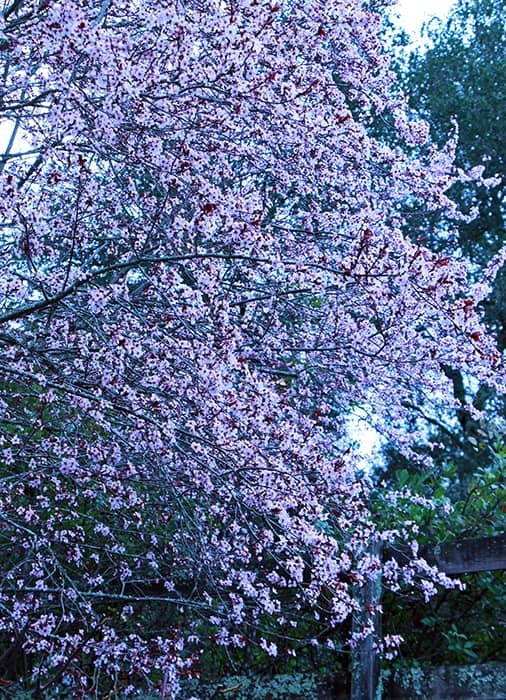 The plum tree is almost in full bloom. 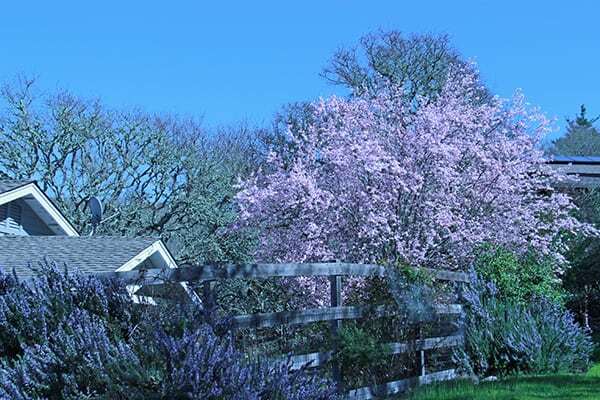 The blue rosemary flowers along the garden fence are beautiful with the plum tree’s flush of bluish pink. 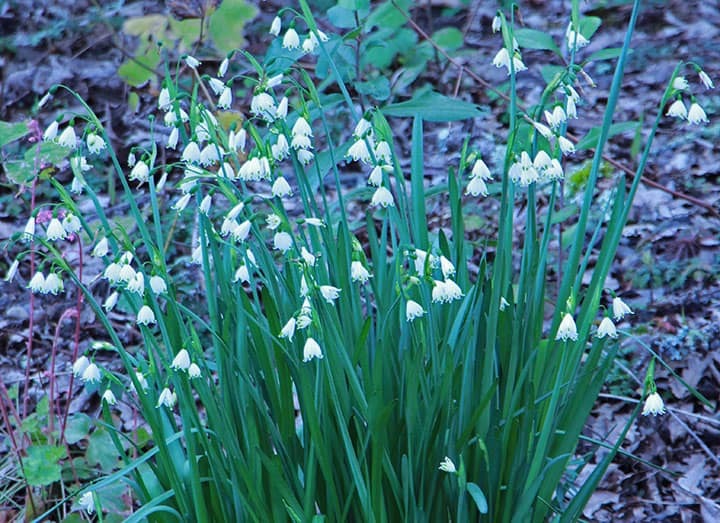 The snowdrops have been blooming for over a month, despite the cold and rain; their cheerful demeanor belies their toughness. 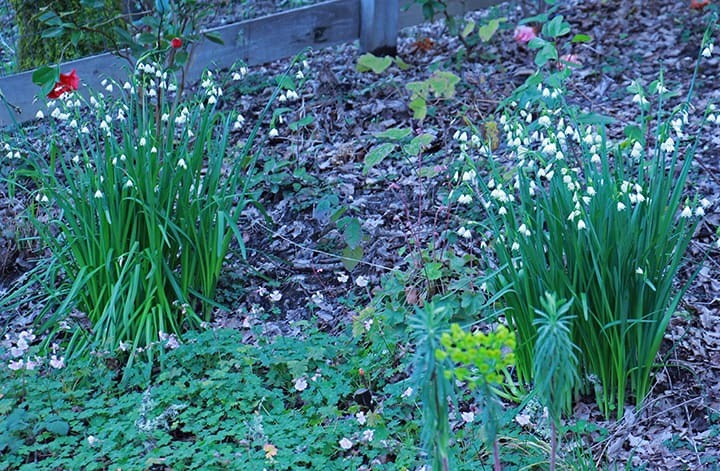 The variety Leucojum aestivum ‘Gravetye Giant’ seems very happy here and comes back faithfully each year. 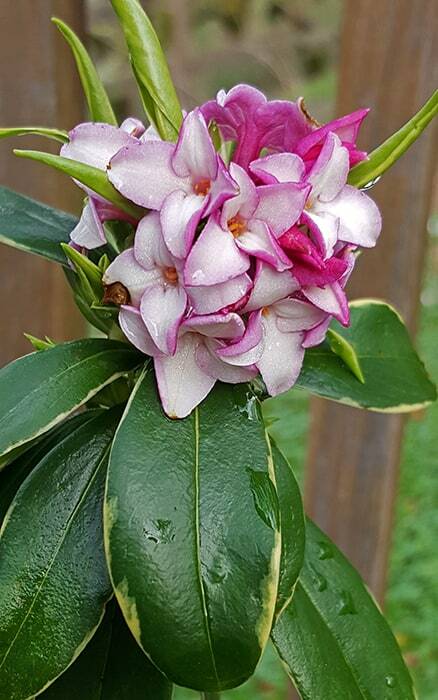 My daphne (in a container) has been trying to bloom for weeks, opening just a couple blossoms at a time. 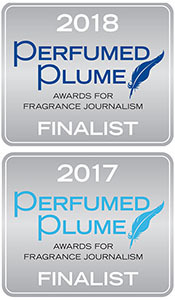 It smells amazing! This is my first spring with it. The pink camellia ‘Debutante‘ has put out a record number of blooms this year. It responded very well to the extra water it received last summer from the new mini sprayers that we added to the drip system. The grasses that have been dormant for winter are putting out a few initial shoots, but most of the garden is still soggy and sparse. 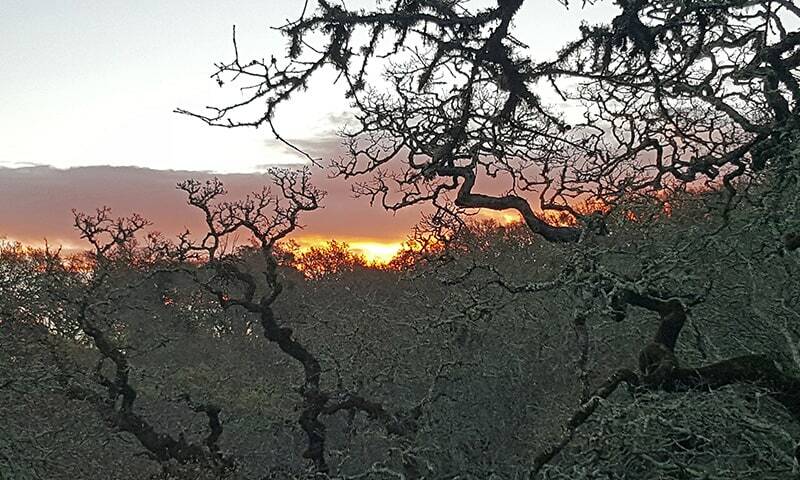 The beautiful branching forms of the winter-bare oak trees, clad in moss, are highlighted dramatically at sunrise and sunset.